Dubai: The disturbing visuals of the body of a uniformed officer dangling from a blue police jeep shocked India early this week. 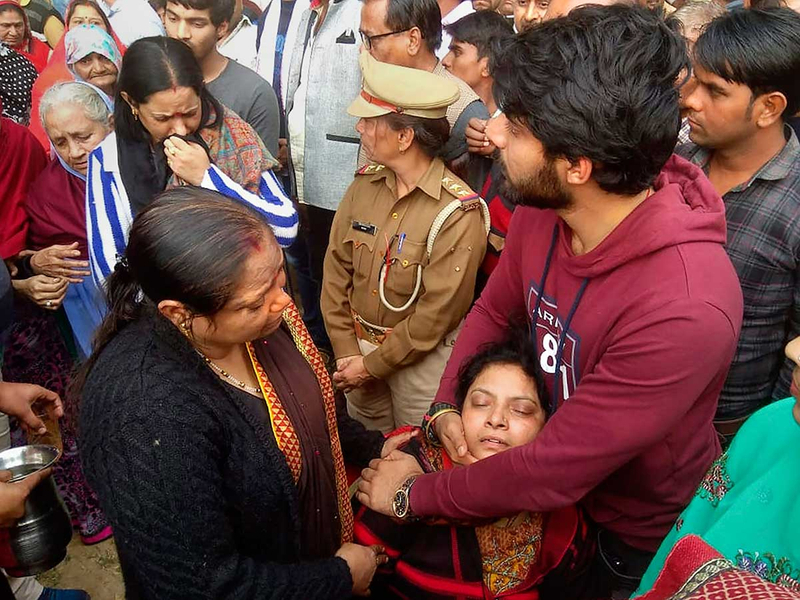 The officer’s head touched the ground, his legs lay on the driver’s seat and a limp left hand rested on the farm field as bullet shots and voices of angry youngsters rang out in a video circulated in mainstream and social media. 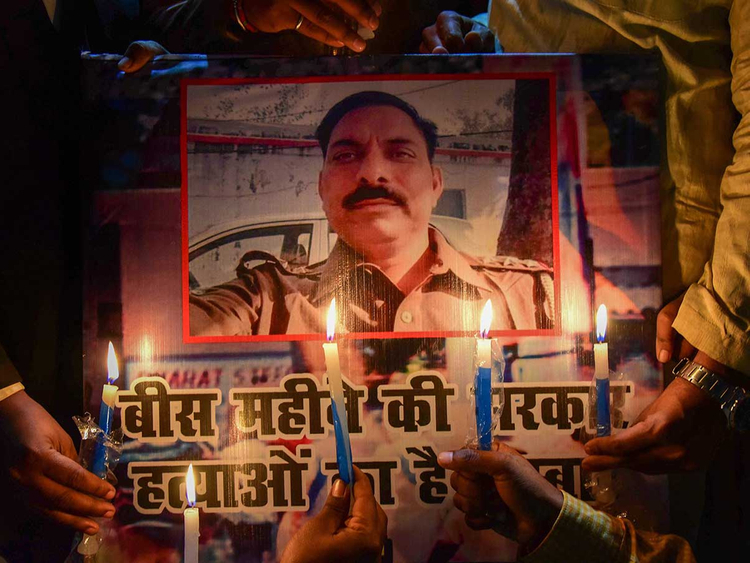 More than one video of the police officer, Subodh Kumar Singh, were made as young protesters took a close look at his body. Singh, the father of two grown-up sons, was shot just above the left eyebrow. The officer, who was in charge of a police station in northern India’s Bulandshahr district, was killed when he tried to disperse a crowd of youngsters who were protesting what appeared to be a mass killing of cows, an animal considered holy by Hindus and protected by stringent laws in most parts of the country. The protesters had loaded cow carcasses on to a tractor before blocking a road, burning down a police outpost and several vehicles, in a sudden eruption of violence that led to Singh’s tragic death. Another man, who was passing by, was also shot and killed. While a special police team has launched an investigation, arrested four people and booked 23 others, the incident on December 3 has further unmasked a deeply disturbing trend – youngsters fed on a diet of steady and aggressive cultural nationalism are increasingly becoming militant in the country’s rural landscape. In a nation where pre-paid data is available for as little as Rs 10, access to information or rumours is quick and easy for the villagers. Thanks to cheap phones and data, spreading content through WhatsApp or Facebook among youths is not difficult in villages where 57 per cent of mobile internet users are below the age of 25. The police is now investigating reports that the killing of the cows and subsequent violent protests were staged to disturb peace at a time when a large Muslim religious gathering was taking place in the area. Located two-and-a-half hour drive from capital New Delhi, Bulandshahr is largely agrarian and a big producer of food grain, potatoes and sugar. Like any other agrarian district in India, Bulandshahr has complex social dynamics driven by economic and social factors and to a lesser extent by cultural and religious. Land is owned by the Jat community which employs Muslims and Dalits as farm workers, with an economic dependency that creates a rural hierarchy that is mutually beneficial and more importantly, works as a counter to conflicts or communal disturbance, keeping the social fabric intact. However, this dynamics is disturbed when ideological factors – religious or cultural – overshadow the bread and butter issues. On December 3, this is precisely what happened. Around 25 cows were allegedly found dead in a farm and the suspicion immediately fell on the meat-eating Muslims. When religious passions fly, commonsense is the biggest casualty – no one bothered to ask why would Muslims, a poor community of farm workers, kill so many cows when they are aware of stringent laws and social consequences of such an act? It is abundantly clear that he wasn’t killed by criminals. He died from a bullet fired by someone who was part of the protesting crowd and the killer is possibly a youth. Singh’s jeep was surrounded by a violent crowd, someone shot him with a pistol after his driver, Ram Asre, ran away. The police have named 27 suspects, mostly young high school dropouts and are from the Jat community of land owners. Except two, the suspects are not known to be affiliated to any political party. The suspect number one, Yogesh Raj, 22, is studying law and a member of right-wing Bajrang Dal. Raj, known in the area for settling village disputes and targeting cow smugglers, is suspected of gathering the young protesters by using social media on December 3. He is yet to be arrested. 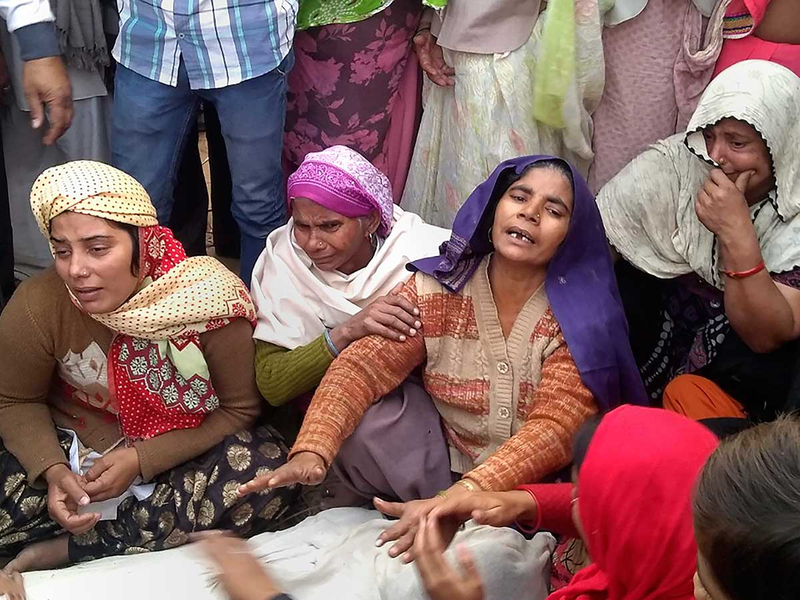 Unlike Raj, other suspects, many of them young school students or dropouts, are not affiliated to any outfit but had strong views on cow killings, their families said in interviews published in Indian media. The mother of one suspect said his son was attending tuition when the incident took place. Another, Jitendra Malik, 24, is an army man and also named by the police. His mother said Malik is a vegetarian and before joining the army he would stop trucks carrying animals. The description given by the families matches with the youngsters seen in the videos, which have gone viral since the December 3 incident. The videos show young boys, wearing slim trousers and sneakers, sandals, vandalising, burning vehicles and shouting slogans. They also fit the profile of a typical mobile internet user in rural India. In the last few years, they have been raised on a steady diet of hate-filled content shared through WhatsApp and Facebook. They have been bombarded with messages portraying Muslims as ‘meat-eating and filthy’ and a community of ‘disloyal citizens’ who are needed to be fixed -- in many cases with the help of political or state patronage. They have been bombarded with content that preaches a narrow brand of cultural nationalism, dividing communities between ‘us’ and ‘them’. It doesn’t take long to mobilise protesters who are young men with raging hormones, are out of school and who are eager to do their bit to fix ‘them’. Outside the social media, this brainwashing takes place at the right-wing training camps where young men and women are taught ‘self-defence’ with a heavy dose of ideological teachings bordering on bigotry. What happened on December 3 was not an isolated incident. Armed vigilantes have targeted and killed Muslims in Rajasthan and Haryana states on the suspicion of taking cows for slaughter. Although, the tragedy in Bulandshahr follows a trend – a militant nationalism that is growing every day – it is different in many ways. Unlike the previous incidents, the suspects, except two, are not part of any organised cow vigilante group or political outfit. Yet, they gathered quickly and brazenly attacked a police outpost and indulged in arson. Singh’s murder has left behind a grieving widow and his two sons, Abhishek,17, and Shreya Kumar, an economics graduate. “My father was killed for trying to stop a conflict fuelled by religious bigotry. It was staged by local anti-social elements who wanted to trigger communal violence,” Abhishek told a newspaper.